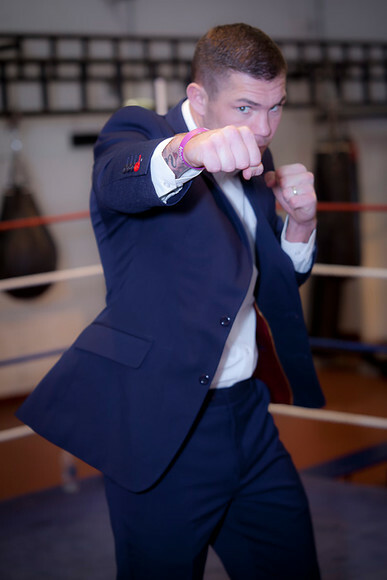 I went up to his gym last week, and was able to get some photos of him wearing his new suit. As you can see, it fits perfectly, and looks fantastic on him. 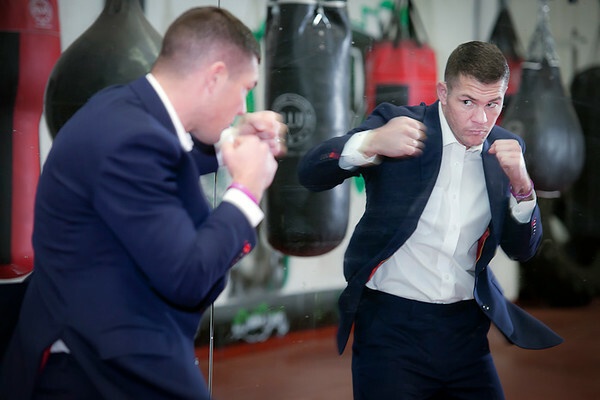 As a boxer (Jamie held the British, Irish and European Middleweight titles until he retired) Jamie struggles to find clothes that fit him properly, so a bespoke suit is vital if he wants to look smart. 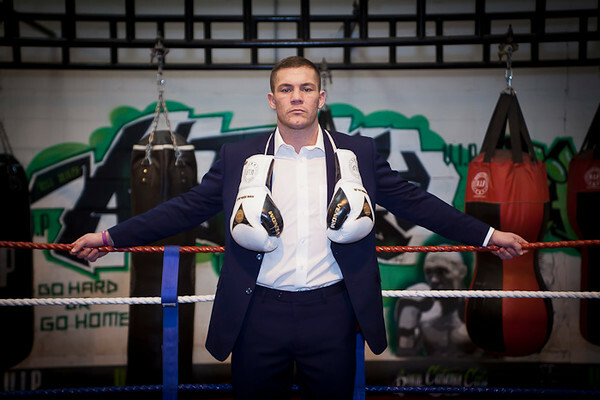 You will see him on Ringside, on Sky on the 16th April, wearing it for the first time. He went for the slim fit, and a Regal Red lining, opening cuff buttons, and plain front trousers. 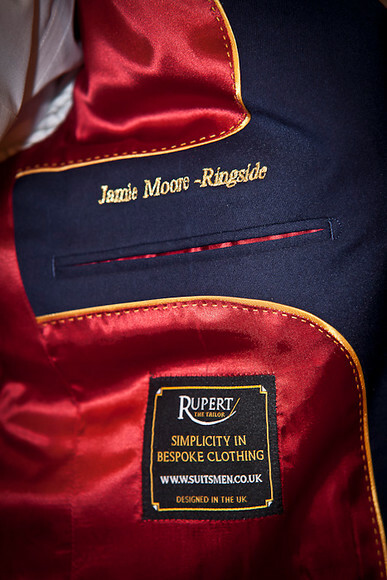 Inside we added a monogram of “Jamie Moore – Ringside. While the red buttons are not a standard personalisation, if you would like one the same, just drop us a line. All personalisations are free of course. We hope to be asked to make a suit for his trip to Afghanistan this summer, when he goes with Sky to work with the Army over there. Next PostNext Start your Summer in Style!